I don’t know about you, but when I get in my mind a simple idea for a bag (or anything for that matter)…something that will function the way I need it to, last awhile, and maybe look at least a little visually appealing in a basic way, it takes me FOREVER to find it. 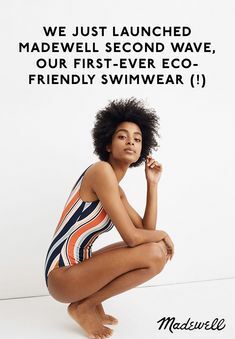 I cannot believe sometimes how long it takes to find such basic items nowadays, in such a drastically over-saturated market where everyone is constantly trying to outdo each other with the most extravagant eye-popping show-off styles—oh yeah. I guess I can believe it. But still. Sometimes, I just…can’t…even. If only I had the resources at the tips of my fingers to start my own store and just magically produce everything I have ever spent more than an hour or more than $5 in gas just trying to locate. I think it would be quite profitable. It’s a common complaint I’ve heard from both style conscious and not so style conscious people. Fortunately, it seems there are a handful of companies that already have the power of popularity who decided to actually get back to basics and ditch the superficial side of things. 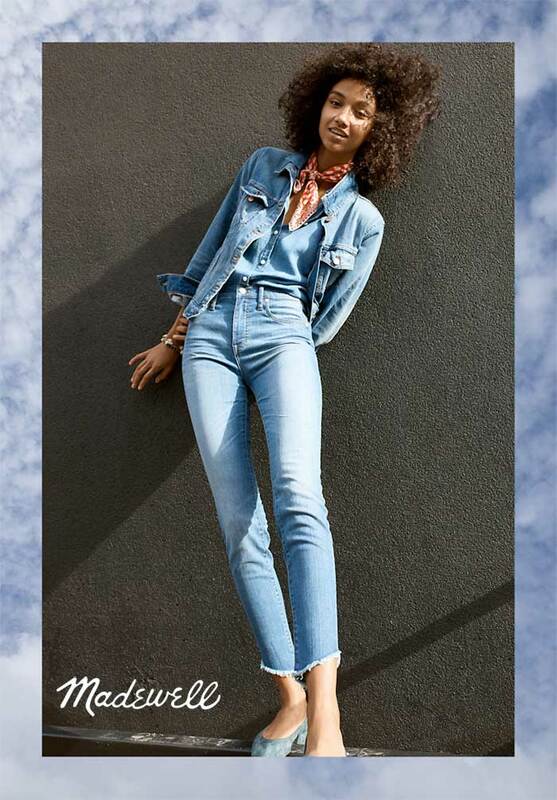 The bags above are from a huge fashion industry favorite, Madewell, who actually branched off of basics brand J. Crew in 2006. Madewell has a huge selection of basic leather bags and wallets that might be pricy, but for a good reason: they will fit any outfit, last you for a long time (seriously, would you rather buy 34534 cheap bags that fall apart and only work with one or two outfits or pay about the same price as you would on those for one versatile, durable bag? I’ll take the latter) and get your toting jobs done. 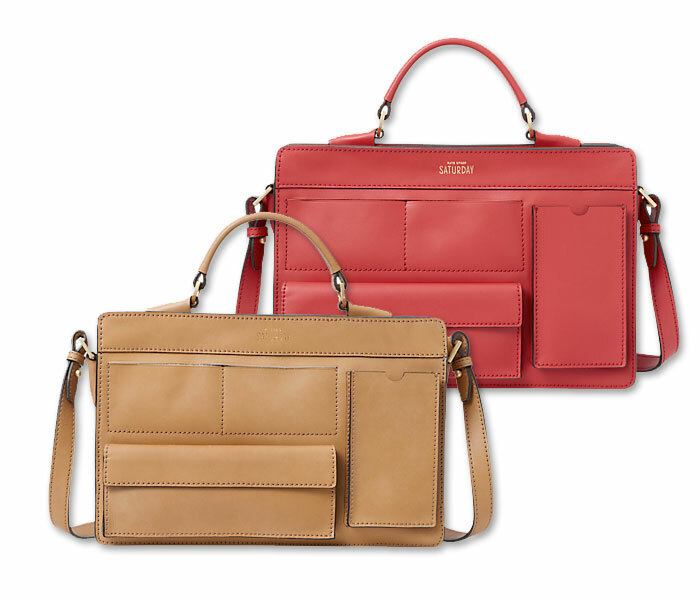 Kate Spade Saturday is another great brand, which probably doesn’t need much of an introduction. We all know Kate Spade, and Kate Spade Saturday was created to bring “weekend spirit to every day of the week with good, easygoing style and a sense of spontaneity.” They also have a beautiful collection of basic bags (some that look very Coach-ish to me). 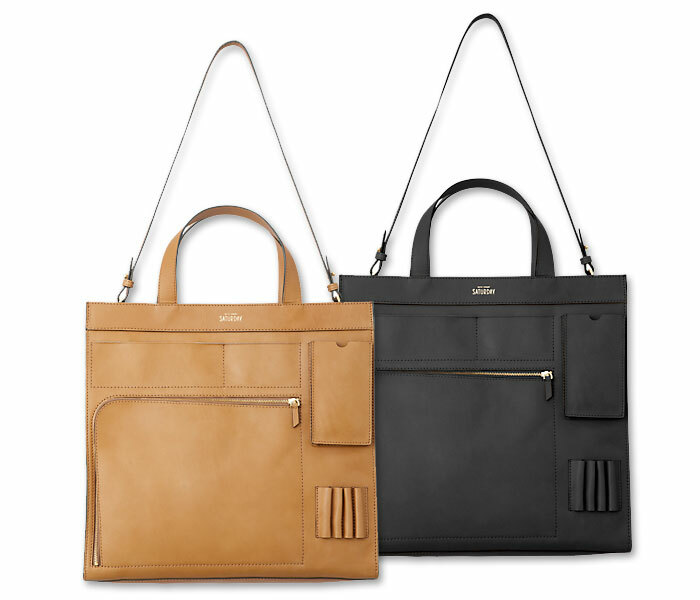 Shown above are two great examples, the Inside Out Pocket Tote in Vachetta and Black. Now this one is a first to me…I am more of a fan of simple exteriors, but I found this pretty neat…pockets for any small essentials on the outside, without looking bulky! 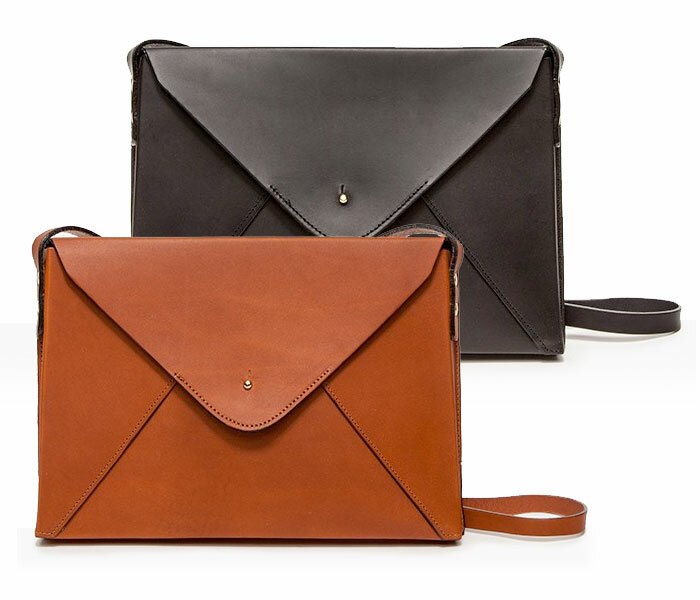 I do love convertible bags (bags with a strap to hold as a handbag and a longer one for shoulder or crossbody), so this one caught my eye immediately. It features everything on the outside, with just one little side pocket on the inside. 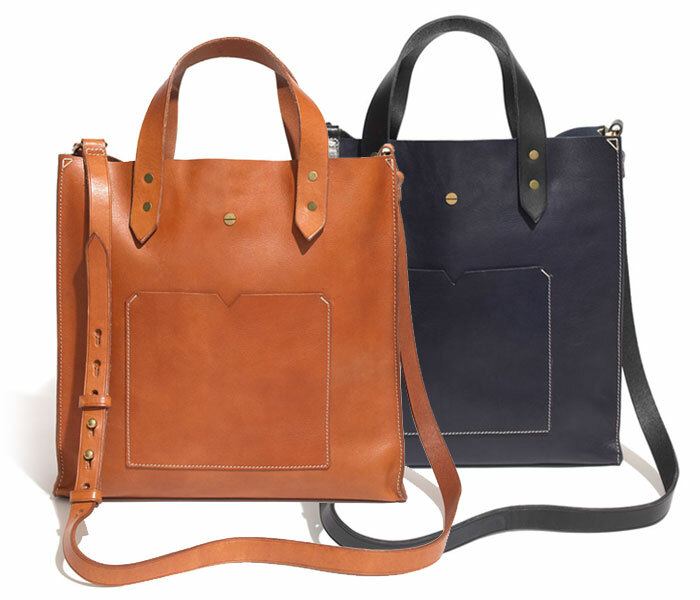 Above is another variation of the Inside Out Pocket Tote, but smaller, in satchel form! This one also comes in a Peacock color, or a dark turquoise. I’ve been subscribed to Need Supply Co. newsletters for awhile, and I’m always kind of drawn into the minimalist designs they carry, both in apparel and accessories. Need Supply is a brick & mortar store in Richmond, Virginia. 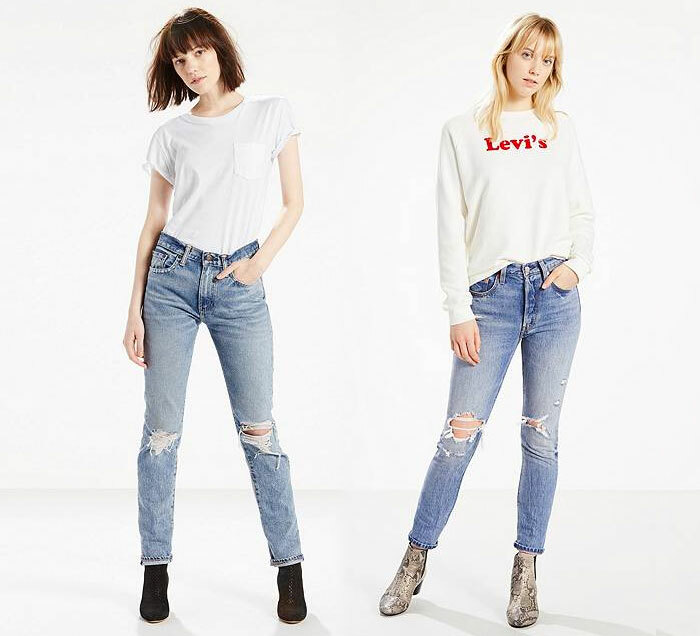 They started off carrying vintage Levis in 1996 but branched out to a general men’s and women’s accessories and clothing store, and in 2008 they went online! They mix both popular brands and up-and-coming ones to keep the mix fresh. These Lizzy Disney Envelope Clutch bags are just one selection out of their huge bag collection…seriously I could have posted more but I need to keep this brief! How cute are these? They are a bit pricier at about $500, but they are handcrafted in England with brass hardware, a cute stud closure and suede lining. With an 8″ height, 11″ width, 1″ depth and a 19.5″ shoulder drop, it’s a perfect bag to carry your essentials out on the town while running errands or just getting the heck out of the house for a few hours. 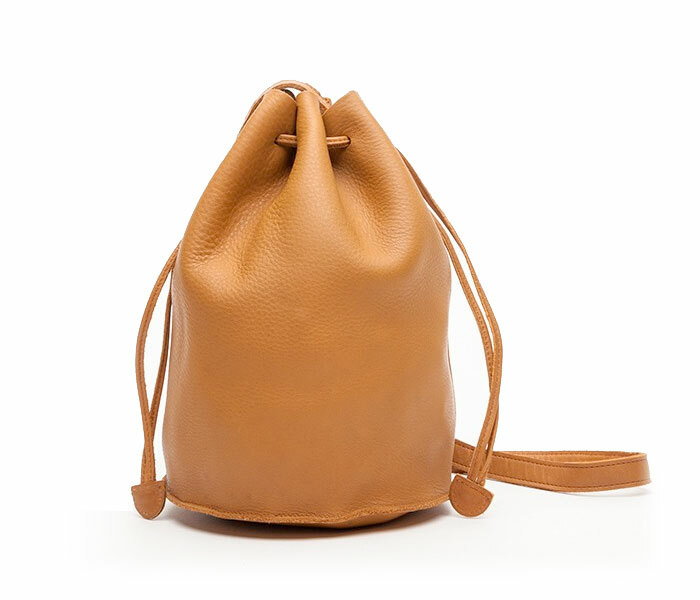 Another find from Need Supply Co., BAGGU® has been on the market for quite some time and is available through several major retailers. The brand is just about as basic as you can get. Even their self-proclaimed biography is simple: “BAGGU® makes simple, high quality bags in many bright colors. 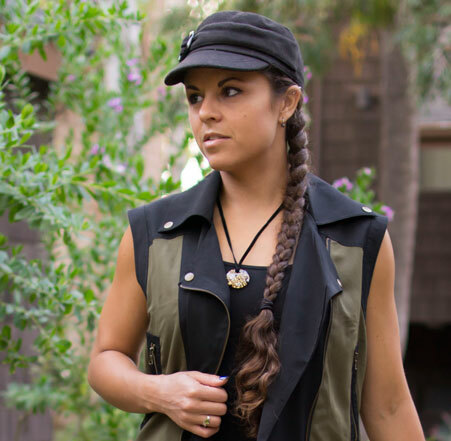 They’re durable and fill many uses so you can own less stuff.” I only knew about their canvas totes and backpacks, but apparently they have a lot of leather goods as well! This cute, simple little leather drawstring purse looks like something straight out of a Renaissance faire. It might not be as functional as some of the above Kate Spade Saturday bags, but if you are a fan of minimalism, this one is a great bet…basically the photo illustrates the entire product. There are obviously a ton of great bags out there…my two favorites Coach and Foley & Corinna always have some simple, well-made basics and even Louis Vuitton has branched out a bit and ditched the often-tacky logo patterns for some of their new, more classic collections (as has Coach). 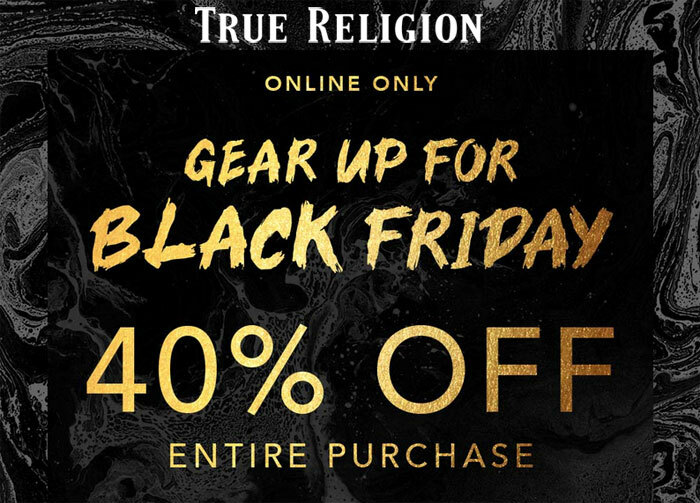 It’s nice to see some of the higher brands answering the call, but not everyone is interested in name-brand items or showing off in any sense, so it’s good to know there are other options out there. Oh yeah, I almost forgot Fossil…check them out too, they are also a great bet 🙂 Happy shopping!